SEAT has announced a range of 0% and low rate finance offers on many of its models. The deals run alongside the recently-revealed SEAT Revolution campaign, which sees specification-adjusted savings of up to £5,110 against competitor car RRPs and ‘Revolution' discounts of up to £2,000 off SEAT list prices. The new finance deals, which are all available subject to conditions from participating dealers, include 0% Hire Purchase offers and great, low-rate SEAT Solutions Personal Contract Purchase (PCP) terms. For instance, customers can choose from a 0% Hire Purchase deal on three- and five-door Ibiza Ecomotive, or new Ibiza 5dr 1.4 SE and Ibiza SC 1.4 SE. 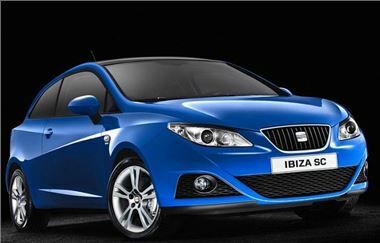 Meanwhile, low-rate PCP offers are available on the new Ibiza 5dr and Ibiza SC. Low deposit, 0% finance deals over up to four years are available on selected Approved Used Altea XL 2.0 TDI, Altea Freetrack 4 2.0 TDI and Leon FR 2.0 TDI models, making these practical and desirable cars that much more accessible to canny used car buyers.